At the end of last month I made it to the next level of my beauty insider at Sephora and became a VIB (Very Important Beauty Insider). I would have made it to this level a long time ago but I kept using my points for 100 point deluxe samples so that I could try out new products. After trying so many, I decided I wanted to start saving my points up to get a 500 point perk. In a calendar year you have to spend $350 to qualify to become a VIB. Being a VIB the perks are all beauty insider benefits, first dibs on new products, seasonal VIB gifts, advance access to sales, and private VIB- only shopping events. I got the email to go pick up the welcome kit in stores. The welcome kit was actually hard to get a hold of. I went to two different Sephora stores and they were out of stock. I tried again last week and it was finally in stock. 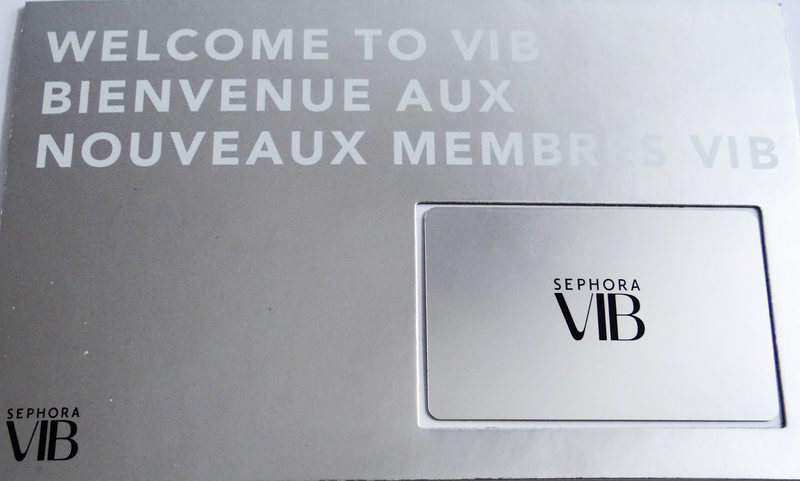 Included in the welcome kit is a new card that says Sephora VIB which is silver and more sturdy than the beauty insider card (plastic card). 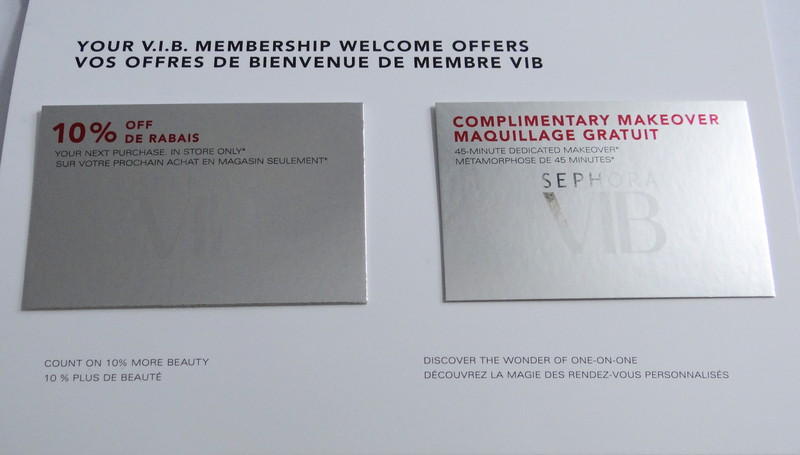 The information about the perks of being a VIB, along with two welcome offers which is 10% off your next in store purchase this has to be used a month after qualifying as a VIB, and a complimentary makeover which expires 90 days from the date that you qualify as a VIB. I'm excited for the makeover and the perks in the next year being a VIB. 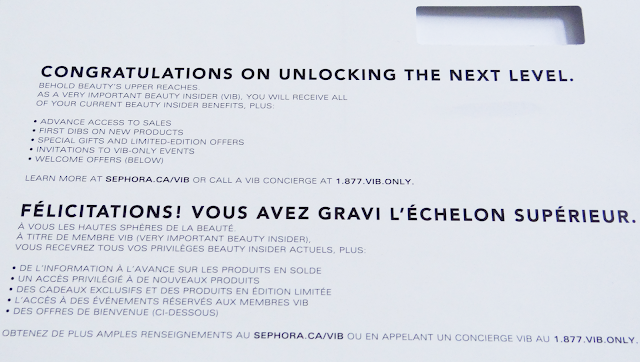 I'm qualified as a VIB until the end of December 2014.